Throughout the history of diamonds, there have been many different types of cuts as jewelers attempted to make the most brilliant diamonds. Years and years went by, and jewelers continued in their quest to find the cut with the most facets and allure until finally, the round diamond cut was invented. Giving a diamond a circular shape allows for the stone to brag 58 eye-catching facets, more than any other kind of cut. It is for this reason that round cut diamonds, also called round brilliant diamonds, reflect light extraordinarily well and are the most popular diamonds on the market, especially for engagement rings. Though rounded shapes have been used to cut diamonds for years, fully circular shapes weren’t really possible or popular until the invention of the bruting machine in the late 1800s, which finally allowed for diamonds to be cut in a circular shape rather than a cushion cut. The first known round diamonds were called European cut diamonds. 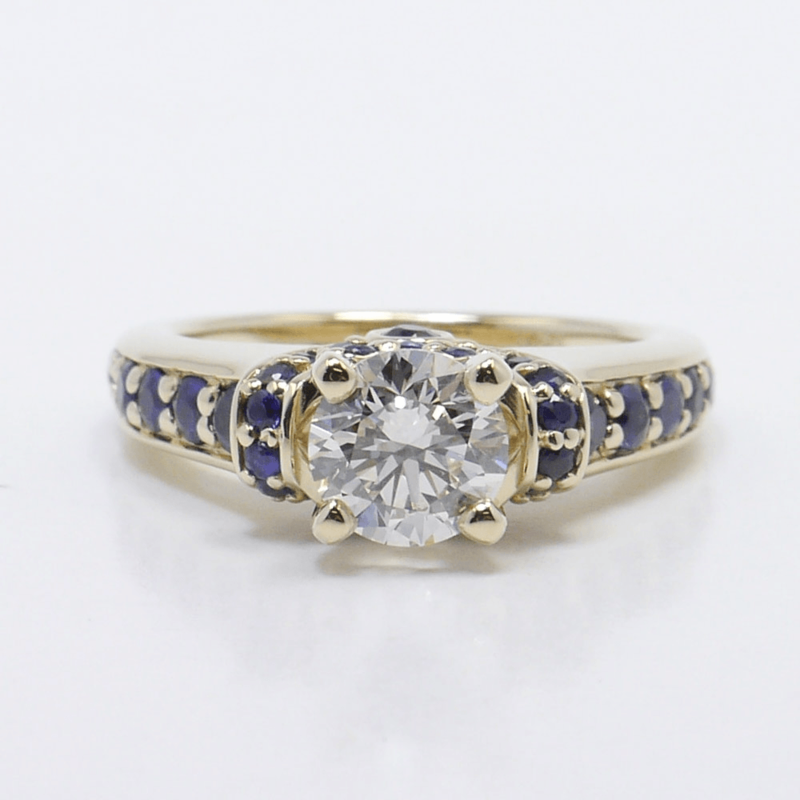 Though they were technically circular, they were much different from the round brilliant diamond cuts we see today. Actually, the round brilliant 58-facet cut didn’t come about until around 1919, when Marcel Tolkowsky published his thesis “Diamond Design: A Study of the Reflection and Refraction of Light in Diamond.” Tolkowsky basically created a mathematical formula for cutting diamonds proportionally. Over time, thanks to advances in technology, Tolkowsky’s formula has been altered to perfection. Amber Heard – With a large round brilliant cut diamond flanked by two smaller melees, Johnny Depp made his wife very happy when he proposed. Britney Spears – Britney rocks a three-carat round cut diamond that sparklers on her left finger thanks to her hubby Jason Trawick. Mila Kunis – Ashton Kutcher gave Mila a 5-carat round cut solitaire accompanied by a platinum band. Absolutely stunning! Diamond Solitaire Earrings – Round diamonds look excellent as earrings, and are often used to ice those lobes! Solitaire Necklace – A single diamond hanging around your neck, glistening on your décolleté. It’s a subtle, classic beauty. Round Cut Bridal Sets – Whether it’s a brilliant solitaire engagement ring or a full circle of diamonds in an eternity wedding band, the round cut is a timeless beauty and the top choice among brides. One last thing to note about circle cut diamonds is that they are often higher priced than other cuts. One of the reasons for this is because circle cut diamonds often require the diamond cutters to take away more of the gem’s original roughness, which is costly. Secondly, larger round cut diamonds are in high demand, thus they are usually more expensive. 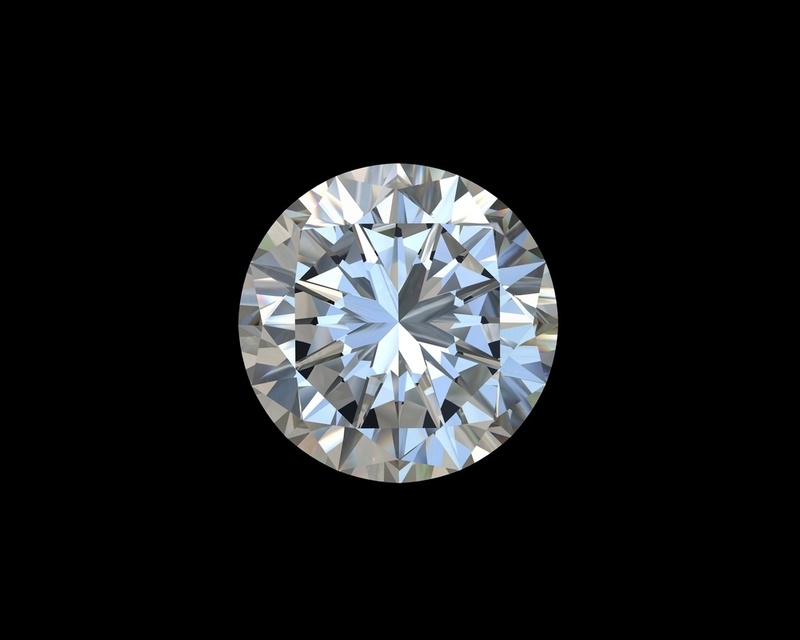 Though they might be more expensive, you simply cannot go wrong with a round brilliant diamond. They are gorgeous, brilliant, and full of fire.